From news reports to shocking videos on YouTube, Flakka is the latest designer drug on the mind of prevention and recovery experts as well as law enforcement. Also known as gravel or “five dollar insanity,” its addictive nature and devastating mental and physical effects have already taken their toll on many communities around the country. While news reports have centered on bizarre incidents in Florida, Ohio, West Virginia, and Australia, the drug has already made its way to the Pacific Northwest. Law enforcement officials in Spokane have urged residents to be aware of Flakka and to educate themselves on its effects. Just in the past month, the Spokane Police Department has reported one death related to flakka and a spike in 911 calls related to use of the drug. One a single day, police responded to 20 separate calls likely related to flakka. Many reported seeing people acting strangely. Because the incidents had many aspects in common, law enforcement officials speculate that they were most likely related to flakka use. 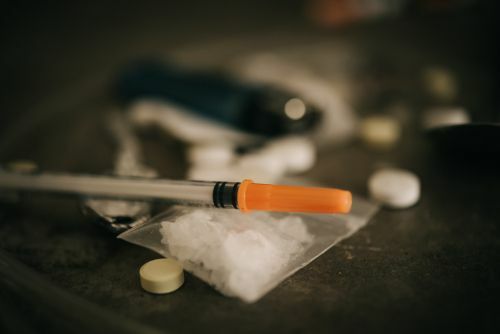 Treatment and prevention experts, as well as law enforcement, are looking to get out in front of the problem before it becomes as widespread as in other communities around the country. Doug James, acting special agent in charge of the DEA’s Seattle office told Q13 Fox News that “Flakka is a combination stimulant and hallucinogen so it’s a cross between methamphetamine and PCP.” It is a man-made version of the chemical alpha-PVP, which in its natural state is called cathinone and comes from certain plants. Use started in Florida and Ohio and has since spread to Kentucky, West Virginia, and, more recently, the Washington state. While Australia has seen a number of overdoses among tourists on their Gold Coast, in the US the drug gets consumed mostly by the young, the poor, and the homeless. Flakka is a synthetic variant of the active ingredient in a natural drug called khat. For centuries, many in the Middle East and East Africa have chewed on khat leaves or brewed them into a tea for their stimulant properties. Most Westerners may remember their use by forces commanded by Somali warlords who fought US troops in East Africa. Flakka, from a Spanish word that means thin lady, was created to mimic a concentrated form of the active ingredient in khat called cathinone. The design of the chemical compounds causes a strong dopamine injection in the brain, resulting in a power state of “excited delirium.” In some cases, it can temporarily cause the user to have “superhuman” strength. Users will often inject or snort themselves with flakka. Recently, however, many have found ways to use it in vaping machines or e cigarettes. This enables them to use it openly and publicly. Remember that the vast majority of people who use vapes or e cigarettes do so either as a safer way to use nicotine or for the taste of non nicotine infused juice. What Is the Difference Between Flakka and Bath Salts? While they share a lot in common, flakka and bath salts have significant differences. Both drugs are man-made derivatives of cathinone and act as stimulants. Also, both drugs are manufactured in China and Central Asia for use in Australia, Europe, and North America. Bath salts, however, do not describe a single drug. The name covers a wide range of products sold commercially, normally at gas stations, whose chemical composition changes each time federal law prohibits a specific type. Bath salts typically use mephedrone, methylone, and/or MDPV. In response to federal law outlawing bath salts, manufacturers changed the composition to alpha-PVP, the definitive compound in flakka. When federal law made that substance illegal, it moved to the streets. Meanwhile, some bath salts makers have remained one step ahead of the law and can still sell commercially for now. 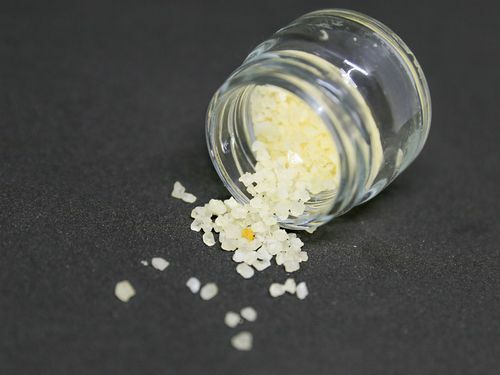 Because flakka is a street drug in the United States, dealers often try to increase their profits by cutting with other substances, such as phosphorus from matches and other dangerous chemicals. While the news media often confuse the two substances, it is important to remember that they come from different places and have different properties. Most importantly, both pose tremendous risks both to users and anyone who may be around them. Is Flakka Legal in the United States? The US Drug Enforcement Agency lists alpha-PVP as a Schedule 1 drug under the Controlled Substances Act. This means that the law bans every use of the substance and that it has no possible medical application. Last winter an individual high on flakka was confronted by police and emergency responders in Charleston, West Virginia. According to the police report, it took eleven police officers and paramedics to subdue the individual. Even then they could not compel him to compliance until he was injected with a powerful sedative. Charleston firefighter and paramedic Thomas Robinson described the apparent effects as appearing like a combination of bath salts, ecstasy, and cocaine. He said that he has seen or heard reports of users stripping naked, climbing poles for no reason, and attempting to swim across a local river with dangerous currents. Flakka causes a condition called excited delirium. It causes high levels of dopamine in the brain, but also blocks the natural process to lower dopamine levels in a normal way. Levels of norepinephrine also rise, which causes elevated body temperatures and high heart rate. With flakka, the brain cannot reabsorb these compounds, creating a condition where the user can remain under the damaging influence for a long time. Users experience hallucinations, racing heartbeat, body temperatures of 105 degrees or more, and hyperthermia. This causes users to often strip off their clothes and act violently and in other unpredictable ways. High body temperatures for an extended period of time can ultimately cause permanent damage to the brain. Users also experience dangerous psychological effects. These include feelings of extreme paranoia or even the belief that they have been set on fire. One user tried to kick through the door of a Fort Lauderdale police station to escape imaginary pursuers he thought wanted to harm him. A West Virginia user brutalized his neighbor’s pygmy goat while on flakka. It bears repeating that if anyone suspects that they have found a person on flakka, they should call 911 and not approach the person. Death usually occurs due to intensely high heart rates seen in users of flakka. The drug can cause serious damage to the heart muscle and lead to heart attack. Another horrific side effect of flakka creates a bizarre condition often called the “zombie dance.” The high body temperatures will often break down and disintegrate muscle tissue. This causes users to uncontrollably move in jerky ways or even flop on the ground in a manner similar to a grand mal seizure. Even worse, the disintegrated muscle fibers enter the bloodstream where they can sometimes disrupt kidney function and, in extreme cases, cause failure of that organ. Some news outlet experts have sought to dispel the notion that flakka can cause periods of superhuman strength, but law enforcement reports from areas where the drug is prevalent consistently report otherwise. While the drug does not directly increase strength, it does elevate the user’s fear and anxiety and causes extreme paranoia. In such cases, the body’s natural fight-or-flight mechanism can kick in. This will often give users an adrenaline rush that can lead to a temporary boost of physical strength. Add in the paranoia and this strength can turn into violence quickly. Studies show that anywhere between 30 and 50 percent of flakka users show signs of dependence and addiction. Users have higher levels of anxiety or depression after use, as well as a greater chance of abusing other substances. Using more to get the same effects. Bizarre movements that may repeat. Parents should also learn to spot the typical warning signs of addiction in children. Addiction can occur with flakka and other drugs, but some of the warning signs remain the same. Experts list 15 warning signs that a child may have developed a drug addiction. Parents should be aware of the difference between normal teenage mood changes and serious alterations in behavior patterns. Flakka use and addiction can not only create health problems for the user, they also put anyone around them at risk. Police say to never approach or confront a user acting strangely while of flakka. Call 911 and let the police handle the individual. Addictions in general come in a variety of forms. It is important to research and understand the different ways that addiction can materialize when considering treatment. Since flakka can cause not only addiction, but also damage to multiple parts of the body, treatment for use and addiction can vary. Treatment for the addiction itself can consist of different kinds of pharmacological approaches. A physician will likely administer drugs to help reduce cravings, boost abstinence, and treat psychological symptoms such as agitation and any lingering psychosis. As with all addicts, pharmacological treatments should also be accompanied by therapy and counseling to uncover the underlying psychological issues that led to the addiction. Treatment of flakka users and addicts should also include a thorough assessment of the user’s heart, brain, muscular system, and kidneys. All of these can suffer damage during use of the drug. Can Flakka Be Detected in a Drug Test? Unfortunately, flakka exists in part because illegal drug manufacturers and dealers sought to make and sell a product that could not be easily detected by common drug tests. In addition to those attracted to its low cost of approximately four or five dollars, users may choose this substance to avoid DUI testing with breathalyzers or work-based drug testing. Flakka tests are nearly impossible to create because manufacturers have had consistent success in tweaking formulas to stay ahead of tests. While addiction is a disease that affects an individual, it also manifests as a condition that can affect an entire family. 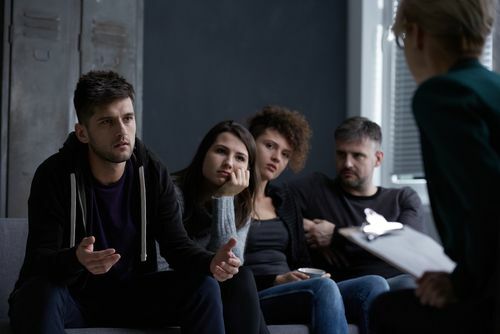 Families want to help an addicted loved one out of feelings of love and duty, but very few people are equipped to treat and deal with an addict in a way that can lead toward recovery. In the Spokane region, help is available at the Riverside Recovery Center. For almost 25 years, the expert and caring staff at Riverside Recovery Center have treated addictions of all types. They not only have expertise with problems caused by drugs such as opioids and cocaine, but also the latest “designer drugs” like bath salts and flakka. We offer a wide range of treatments, from in-patient residential service to intensive outpatient treatment options. Call today to ask about how our services can help you or your loved one. If you or a loved one suffer from an addiction, the best move you can make is to contact Riverside Recovery Center. Call us at (509) 328-5354, email us at staff@riversidespokane.com, or come to our facility at 3710 N. Monroe in Spokane.